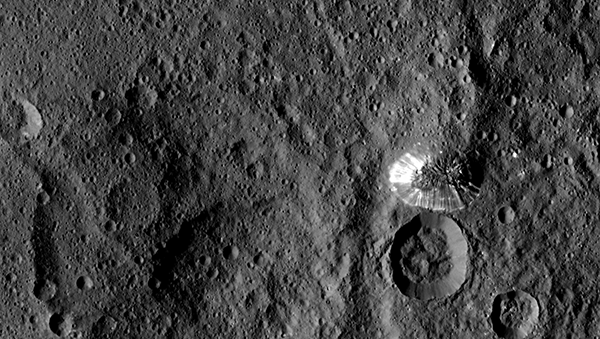 The Orbital ATK designed and built NASA’s Dawn spacecraft is now collecting the best-ever views of Ceres at its current orbital altitude of 915 miles (1,470 kilometers) known as the High Altitude Mapping Orbit (HAMO). 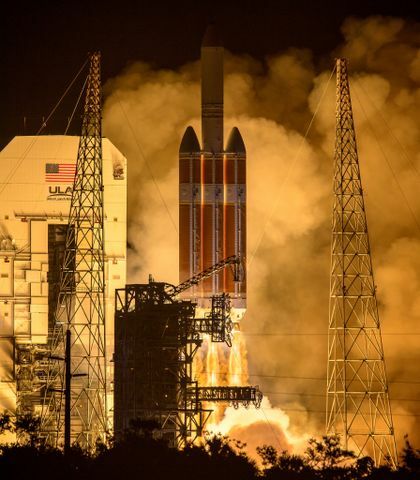 “Dawn is performing flawlessly in this new orbit as it conducts its ambitious exploration. The spacecraft's view is now three times as sharp as in its previous mapping orbit, revealing exciting new details of this intriguing dwarf planet," said Marc Rayman, Dawn's chief engineer and mission director, based at NASA's Jet Propulsion Laboratory (JPL), Pasadena, California. 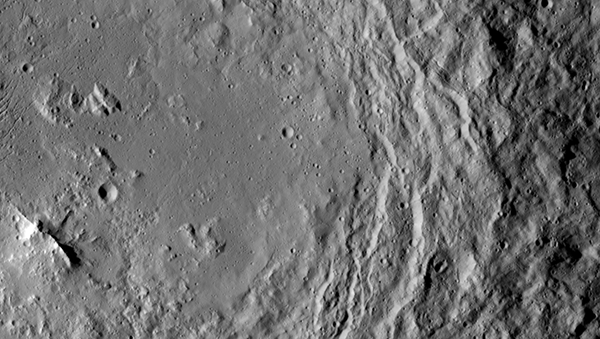 Dawn’s work at HAMO is generating an impressive set of imagery that is unveiling Ceres’ features in unprecedented detail. 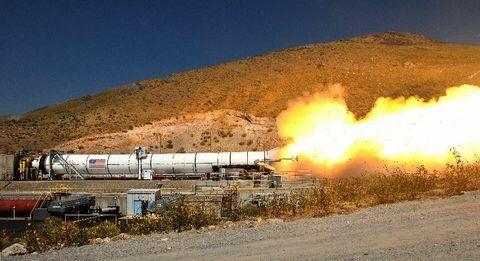 Each of these images has a resolution of 450 feet (140 meters) per pixel. 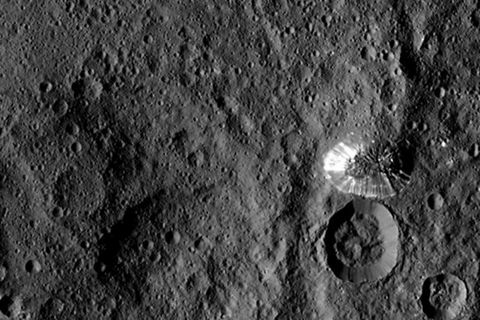 The Lonely Mountain: NASA's Dawn spacecraft took the latest images of this tall, conical mountain on Ceres from a distance of 915 miles (1,470 kilometers) on August 19, 2015. The mountain, located in the southern hemisphere, stands 4 miles (6 kilometers) high. 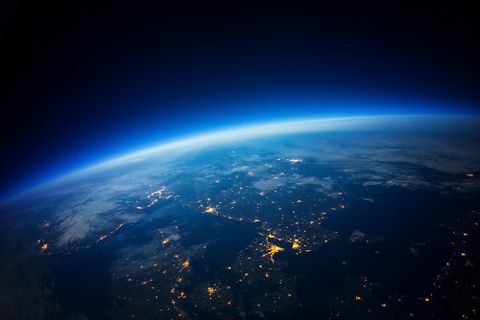 Its perimeter is sharply defined, with almost no accumulated debris at the base of the brightly streaked slope, puzzling scientists on just how such a structure could be formed. 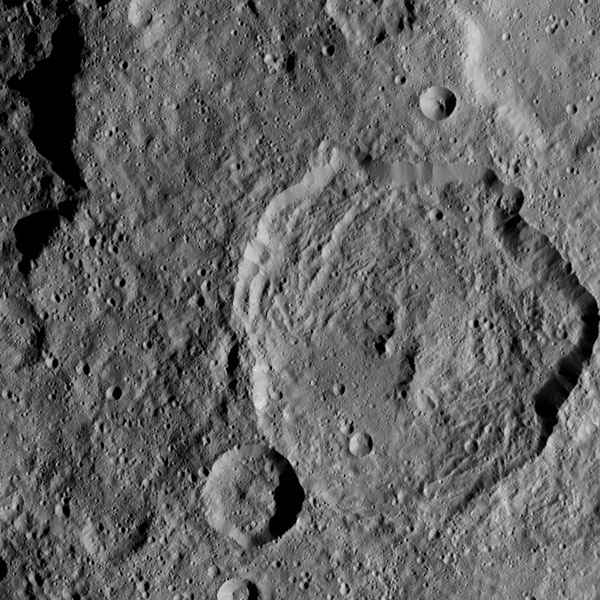 Urvara Peaks: This image shows a mountain ridge, near lower left, that lies in the center of Urvara crater on Ceres. Urvara is an Indian and Iranian deity of plants and fields. The crater's diameter is 101 miles (163 kilometers). This view was acquired on August 19, 2015. 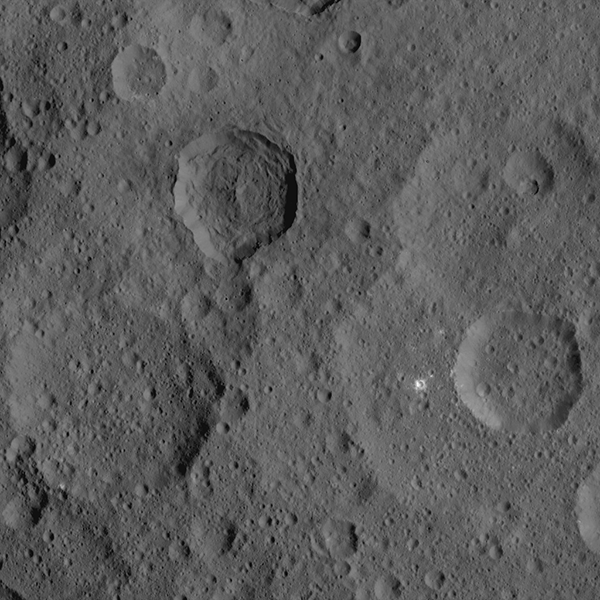 PIA19884_Sept 2: This image shows a portion of the northern hemisphere of dwarf planet Ceres, taken on August 21, 2015. PIA19883_Sept 1: This image of the southern hemisphere of dwarf planet Ceres was taken on August 21, 2015.